ItemP001 - Coleman St., From the West, Scotstown, Que. ItemP003 - Coleman St. and Presbyterian Church, Scotstown, Que. 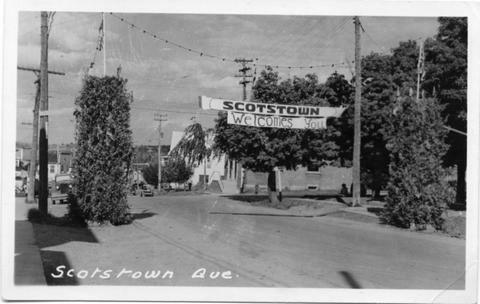 Item P004 - Scotstown, Que. The item is also available in digital format. . Date based on contents of image.